It wouldn’t be a typical day in DC without some crazy announcement or another. Thursday’s news cycle has been taken by storm with Amazon’s official announcement that DC, northern Virginia and Montgomery County, Maryland, are all part of the “short” list of cities for their second headquarters. Overshadowed by this news is the fact that time is running out on budget negotiations and we may be looking at a Federal shutdown starting Saturday, January 20. You can click here to read a CNN analysis on the current situation, in case you haven’t been following. We’ve been threatened with a shutdown since December. 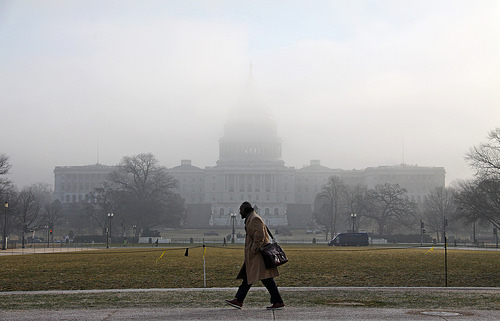 The District of Columbia, being largely tied in financial matters to the Federal government, usually bears a heavy weight when there is a shutdown. However, Beverly Perry, one of Mayor Bowser’s senior advisors, noted that while it can be hard on the District to have the funds it needs to run severely curtailed, it’s important to bear in mind that the District has two economies. While the main economic focus is centered around the federal sector, DC’s secondary economy is entertainment and sports based: Our world-class museums, theater and sports teams are an integral backbone to that economy and are not going anywhere. According to Perry, when the District is promoted well–with national campaigns that highlight its potential as a vacation destination, “the District is just not affected as much.” In addition, Perry highlighted the city’s 22 straight years of balanced budgets and sound economy, underscoring her point stating, “We are secure.” She recalled the 1995-1996 shutdown, asserting that there were no lasting effects to the city during that instance. While we are lucky to have a self-assured government and provisions to continue running the city as usual, it is moments like this one that also underscore the need for the District to have statehood.